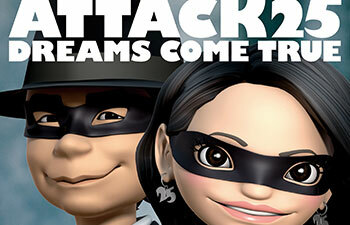 New Album: “ATTACK25” was released on August 20! DCT’s 17th original album, “ATTACK25”, was released on August 20! There will be 16 tracks including “Ai ga Tadoritsuku Basho”, “MY TIME TO SHINE”, “Sozo o koeru ashita e”, “Aishite Waratte Ureshikute Namidashite”, “MADE OF GOLD -featuring DABADA-“, “Saa kane wo narase”, “Kono machi de” & “AGAIN”. Find out more on DCTJoy’s ATTACK25 page!